Break bulk. A break bulk shipment describes cargo that is transported using container or break bulk liner services. Vessels with a fixed schedule load boats on platforms, either between the rows of containers or directly on deck. Break bulk is suitable for boats and yachts between 40 and 70 feet. OOG flatrack. OOG, or Out of Gauge, refers to cargo that is loaded on a folded container platform called a flatrack. 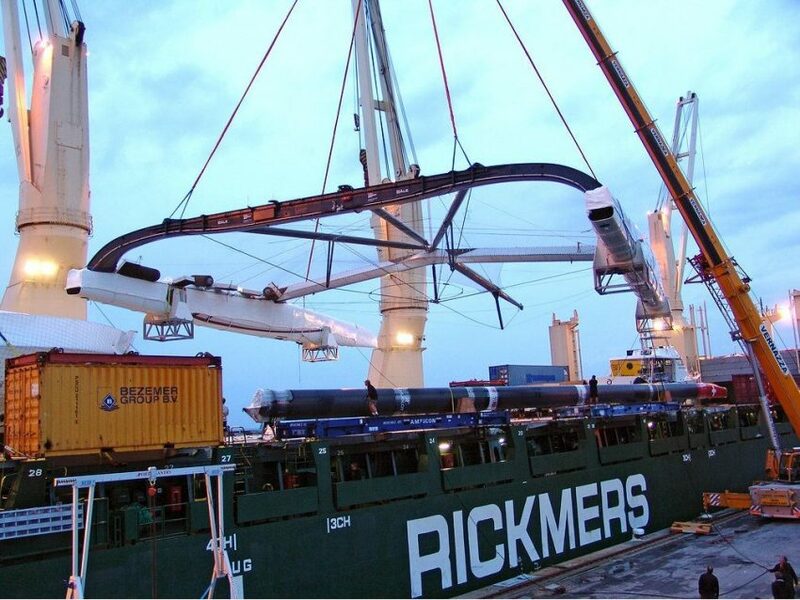 With an OOG flatrack, yachts and boats can be transported within general container liner services. This method of transport can be cost effective and allows for weekly departures to several worldwide destinations. OOG is also suitable for motorboats, yachts, and sailing boats up to 45 feet. Roll on/roll off. Roll on/roll off vessels feature built-in ramps that allow for cargo to be rolled on and off the vessel when in port. Since these vessels are mainly designed for transporting cars and trucks, the entrance door height is limited to 5–6 meters. However, this enables boats that are on cradles to be loaded efficiently. Roll on/roll off services are suitable for boats and yachts up to 60 feet in length. Container. Using containers is another cost effective and efficient method of transport. Special loading gear is used to place boats inside containers in the most effective possible position. Container lines offer fast transit time and weekly departures on most trades. Each container can hold one boat up to 40-45 feet in length with a maximum beam of 8 feet 6 inches or up to four 20 foot long boats with a beam under 8 feet. If you are looking to ship your boat or yacht worldwide, contact the leading international transporters at United Yacht Transport to utilize one of their top liner services today.